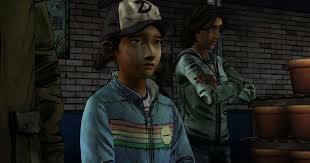 Discussing the third chapter in the second season of Telltale’s The Walking Dead is difficult to do, as much of what transpires here hinges on having played episode 2 and even this episode. 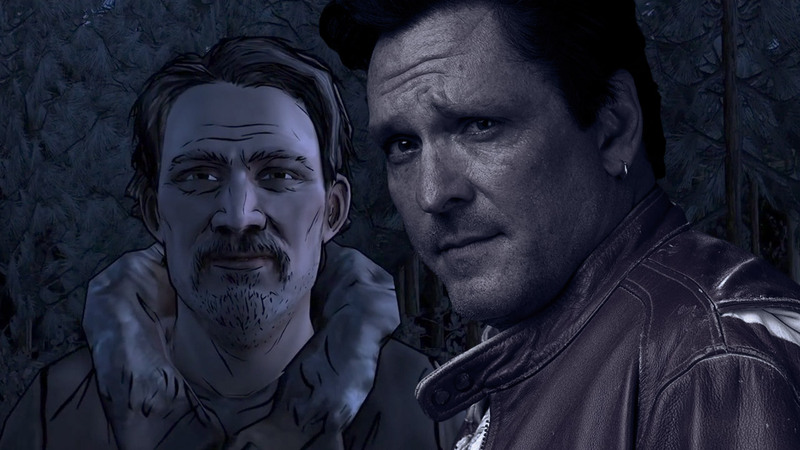 Without steering into any potential spoilers, episode three feels like Telltale is trying to accomplish something that is intended to shock its audience but falls flat in executing what it is they’re trying to do. The main problem is with the villain they’ve been setting up, William Carver voiced by Michael Madsen. He’s little more than a psychopath that rules over his people, who are basically slaves, in the safe haven he has created through fear alone. Carver provides for the people he has taken in with food, shelter, and the promise of safety, but unlike say the Governor from the comic series or even the TV show where he makes those around him feel secure and even convinces himself that he’s in the right despite his obvious psychosis, Carver is a bully through and through. There’s a lot to be said about a bad guy who the audience is rooting for to get their just dues, but we as players have only heard of this character in the season premier and then received a late introduction in episode 2; hardly enough time to truly despise or develop this character. A second issue is the lack of interactivity, something I’ve been noticing in both The Walking Dead and The Wolf Among Us series. The entirety of the chapter takes place in a converted Lowe’s knockoff but you only have access to a few external areas and not the internal section. You’re only walking to the next person to take part in the next conversation that moves the plot forward. In game dialogue hints at how great the community and structure is, and I wanted to experience this for myself but was never really granted an opportunity, other than to see an abandoned comic store with plugs for Image series. Season one of The Walking Dead didn’t have mind crippling puzzles that required complex solutions mind you, but whether it was the farm, the school or the drug store, I was able to walk around, pick up items, and take in the area for a brief moment before being the plot felt a need to shuttle me forward. What makes this episode worth it though is the continuing evolution of the Clementine character. The events that the character is put through here, without spoiling anything, truly show how much the character has grown from the little girl who had to be looked after and protected from the start of the first season. My version of Clementine, which may be completely different from yours, is still holding on to their humanity and compassion for their group, helping out where she can with no regards for their own personal safety yet all the while not turning their head when things are at their most gruesome. Where Clementine is growing, I feel the rest of the cast hasn’t really and in fact, Clem seems to be the most intelligent, level headed and useful of the bunch. In this particular episode, nothing would get accomplished it not for the will of a resourceful child. I still haven’t really connected with the new group she has found herself a part of nor feel anything for them when terrible things happen to them. A new female character is introduced in episode three that I find myself wanting to know more about despite her lack of screen time and lines. I personally hope she sticks around for a least a couple of more episodes and maybe even into a potential season three. It sounds like I’m being hard on this single chapter in The Walking Dead saga, but I don’t wish to condemn it completely. As always the writing is strong and I’m very much invested in what happens to Clem and her continued development. Telltale placed their heroine in some uncomfortable situations that I think were supposed to evoke an extreme reaction in the player, but as someone who has experienced this franchise in other mediums, it’s nothing that I haven’t seen other characters put through. 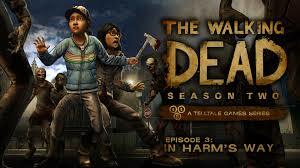 With two episodes remaining, I’m hoping that Telltale can get back on track with this sophomore season of The Walking Dead.